Concerto for Tubameister & Orchestra (US premiere) will be presented October 5th 2014 by the Olympia Symphony Orchestra (WA), with tuba soloist Jc Sherman, conducted by Huw Edwards, at the Washington Centre for the Performing Arts. A Composer Residency for Victor Davies, awarded by the SOCAN Foundation, will take him to interviews with KING FM Radio in Seattle, and appearances throughout the area before the concert. 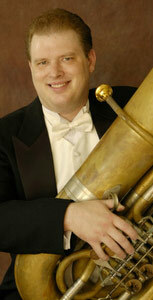 The Concerto For Tubameister was commissioned by Commander Chip & Pennie Sherman for their son, virtuoso tubist J.c. Sherman, principal tubist for Cleveland Opera and a member of the Blossom Festival Band. J.c. Sherman very successfully premiered the concerto for tuba with pianist Zsuzsanna Kukacs, in Vancouver BC Canada for the Cathedral Guild of the Arts Chamber Series – Performance! Honour Before Glory (docudrama about the first black battalion in the Canadian army in WW 1) CBC TV network November 6th 7:00 PM EST 2001. Anthony Sherwood Productions. A film score for chamber orchestra, conducted by Victor Davies. Will also soon be available on video with an educational package for schools. Drug Deals A film score for NFB and Merit Motion Pictures concerning the pharmaceutical industry and withdrawn drugs. The TV version was shown on the CBC TV network November 13th 8:00 PM EST 2001 as an episode of The Nature Of Things. David Suzuki introduced it on TV and at a special screening at The University of Toronto. Karin Redecopp Edwards solo version of the slow movement of The Mennonite Piano Concerto (arranged by Redecopp Edwards) Summer 2001, Mennonite USA Church Assembly Nashville Tenn, Wheaton College Church Pianists Institute October 2001 Wheaton Illinois. One performance of many of the CD of the London Symphony Orchestra, Irmgard Baerg piano, Boris Brott, conductor on CBC radio network,s Disc Drive presented by Jurgen Goethe October 30th 2001. The release on August 12, 2001 of Alexandria Festival Of The Lakes, highlights of past festivals CD in Alexandria Minnesota featuring Variations on George Gershwin,s – I Got Rhythm recorded by Topaz (formerly The Canadian Piano Trio) Jamie Weisenblum violin, Nina Tobias cello, and Lincoln Mayorga piano. The release of Dream Variations on the Vancouver Youth Symphony Orchestra’s CD Celebrations in November 2001conducted by Arthur Polson. All divisions of the orchestra performed the work: the Senior Orchestra, Intermediate Orchestra, Junior String Orchestra and Introductory Strings. This outstanding orchestra of 225 young and talented musicians who deliver an exciting and musical performance was recorded by noted producer Edward Norman live at The Massey Theatre in Vancouver BC. Prepared by conductors Margitta Krebs, Jin Zhang and Arthur Polson, this CD was made to celebrate The VYSO,s 70th Anniversary as one of Canada,s oldest performing groups. UK premier July 5th 2002 at St David,s Cathedral, St. Davids Wales by the choir. Michael Reason conductor on May 3, 2002 Hamilton Place, Hamilton Ontario. Reason conductor. Hamilton Place, Hamilton Ontario. Davies. Will also soon be available on video with an educational package for schools.